AkkenCloud New Features - Integrated Contracts, Digital Onboarding in FO.. Welcome to this month’s installment of the Product Feature Awareness Program. This month we are excited to share a handful of new enhancements that will make the contract management and work order process more efficient, enable your front office team to initiate and monitor the digital onboarding process, and simplify importing time. In addition, we’ve made updates to Outlook Sync and provided you with another way to reduce your sourcing costs. Let’s dive right into these new feature enhancements! Drumroll please… Contract management and work orders are now both included within AkkenCloud’s digital onboarding! You now have the ability to add multiple signers to the documents you send, as well as the ability to select the signing order. This is especially useful for offer letters and other types of contracts where templates need to be pre-populated by the initiator before it is sent to the recipient. With this new workflow extension, your sales and recruiting teams can now initiate and monitor digital onboarding from the front office! This new enhancement not only accelerates the onboarding process for your team, but it also keeps confidential information locked away and hidden from front office users. You can be assured that secure information will remain for back office eyes only. 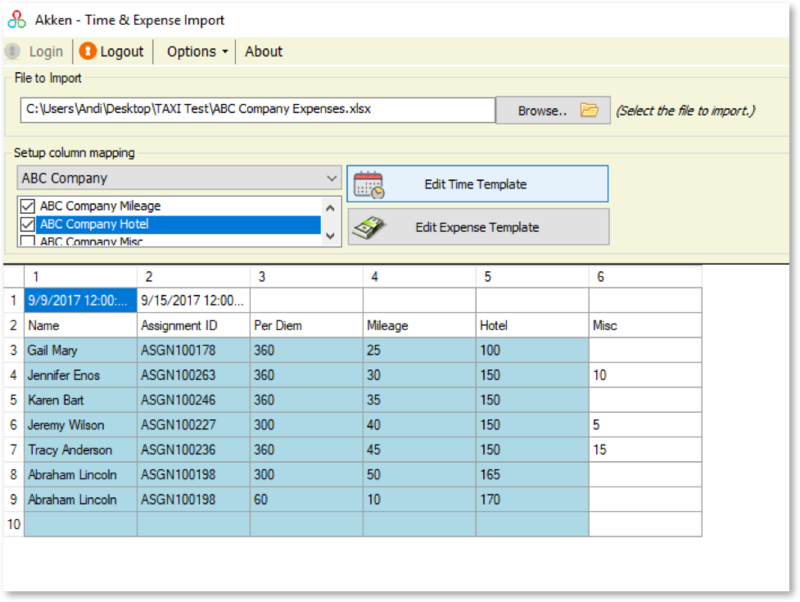 Importing time in one sheet and expenses in another was a time-consuming process. With this newly released TAXI tool enhancement, users now have the option of importing all time and expense data within a single import. It’s as simple as importing the file, and then selecting which templates you want to apply to which set of data (even when spread out across multiple sheets). Start thinking about what you plan to do with all the time you are about to save going forward! More Ways to Save on Sourcing Costs! More ways to save on sourcing costs, and more ways to widen your referral net! Inbound Referral Management enables you to tap into the networks of your contract employees, but with this new enhancement, you now have the ability to extend this program to your internal employees as well. Incentivize your contract staff and internal employees, and broaden your reach for maximum results. Please note: Inbound Talent Marketing (ITM) must be integrated for the IRM functionality. We’ve released a modified version of our Outlook Sync tool, ensuring compatibility with the Office 365 “delayed delivery” feature. With this enhancement, you’ll have peace of mind knowing your sent items will immediately be moved to your outbox for a short period of time before delivery. To learn more about these new feature enhancements, simply reach out to our customer success team at 866.590.6695, or send an email to customersuccess@akkencloud.com.